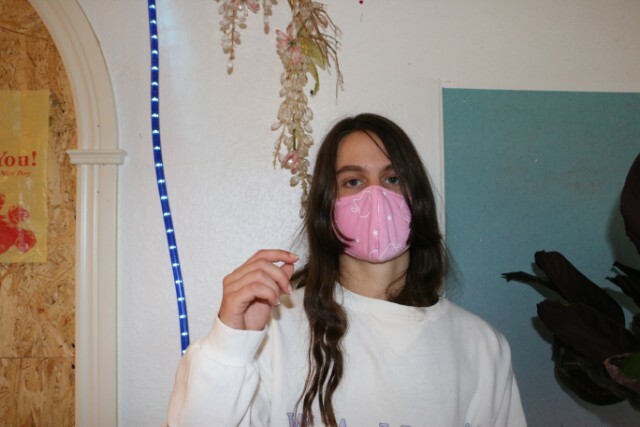 ShitKid is the one-woman project of Swedish-born 23-year-old Åsa Söderqvist, a former feminist-punk frontwoman who reinvented her sound on a series of home recordings posted to SoundCloud. She’s since signed to Stockholm label PNKSLM Recordings, and later this week will be releasing her self-titled debut EP, a collection of three eerily incandescent blasts that lands somewhere between the eternal static-pop cool of Jesus and Mary Chain, the ear-splitting cheer-punk of Sleigh Bells, and the lyrical, pre-apocalyptic doom of early Bauhaus. It’s as intoxicating and chilling as the feeling of wearing a leather jacket and sunglasses for the first time. ShitKid is out April 1 on PKNSLM. In the meantime, you can play it ten times in an hour via the stream below, and we heartily recommend doing just that.